We're excited to share news for 2019! Greetings! we're thrilled to be hosting the sell-out Food & Wine Festival in the new L. Gale Lemerand Student Center on the Daytona Beach Campus. This will be first time many of you will have the opportunity to see the center and guarantee that you won't be disappointed! With Commencement just around the corner, we look forward to welcoming several thousand new graduates to the association - it truly is a great day to be a Falcon! Plan to attend this year's Falcons Take Flight event that's scheduled for Wednesday, May 8, 11 a.m.-1 p.m. on DSC's Daytona Beach Campus. Let's make it bigger than last year (the inaugural event); we encourage all fall, spring and summer graduation eligible students to participate and enjoy spirited activities such as the self-booth, music, refreshments and of course, the group photo finale. 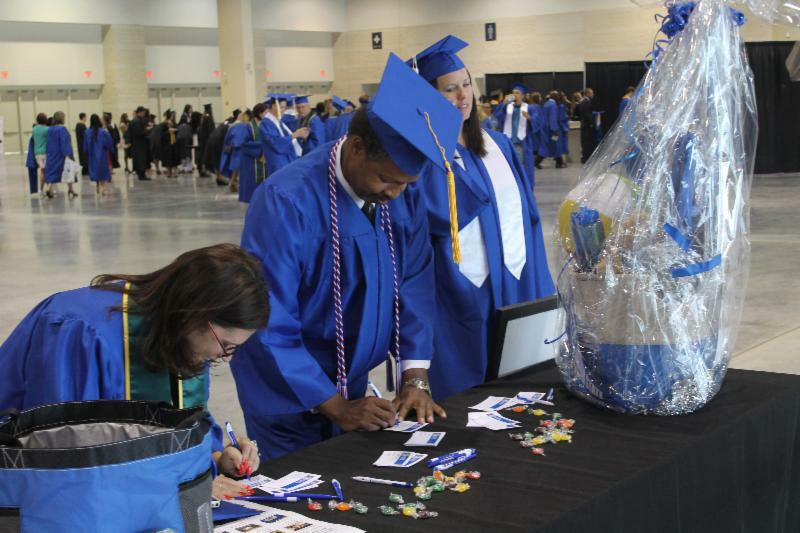 Graduates planning to 'walk' during 2019 Commencement exercises at the Ocean Center on Monday, May 13, can display their alumni cord to demonstrate a commitment to philanthropic endeavors and support alumni relations and scholarship funds. Purchase for only $20.19, proceeds will benefit students who are seeking their educational path. To purchase, contact the Alumni Relations Office, call (386) 506-4506. Also available for purchase at the “Falcons Take Flight” event, May 8, 11 a.m. at the Daytona Beach Campus Student Landing. Alumni cords will also be available for purchase during the May 2019 graduation ceremonies in the staging area. 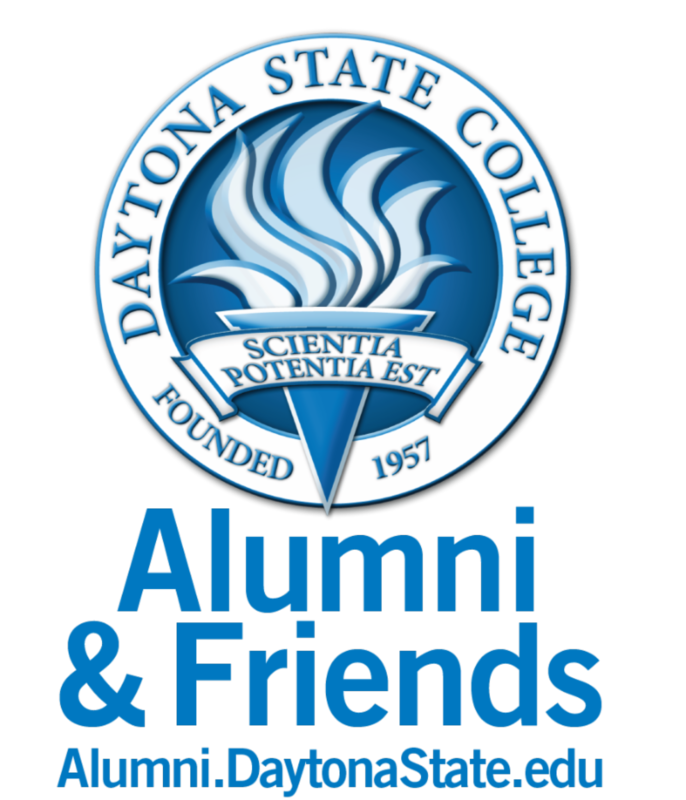 If you, a family member or friend are participating in Daytona State College’s 2019 Commencement ceremonies, consider celebrating the occasion with a special tribute to this accomplishment. For a $20 donation submit up to 3 photos (i.e. childhood photo) and a personalized message to be featured in a slideshow presentation prior to the Commencement 2019 ceremonies (AS, Certificate and Adult Education at 9:30 a.m., AA at 2 p.m. and Bachelor’s degrees at 6:30 p.m.), Monday, May 13 at the Ocean Center. All proceeds benefit DSC Foundation Scholarship funds. 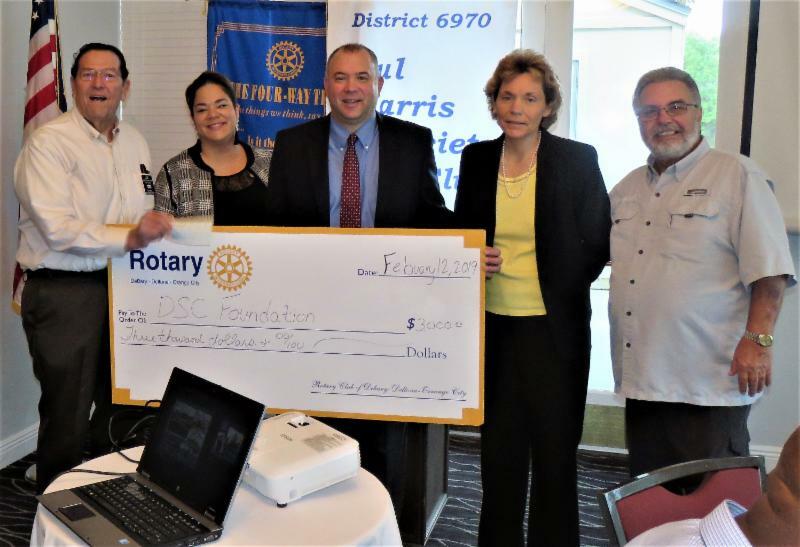 As a result of the Deltona, Debary, Orange City Rotary Hops & Vine event, a $3,000 donation was made to the Deltona Rotaract Club Scholarship Fund. Pictured L-R: Rotary Immediate-Past President, Joe Alemany , Rotary President-Elect Erika Benfield, DSC President, Dr. Tom LoBasso, Director of Alumni Relations & Development, Suzette Cameron and Rotary President, Bill Wright. These are just a few phrases taken from thank you letters sent by recipients of scholarships at Daytona State College. Their journeys have been made possible by the generosity of people in our community like YOU! The people who create scholarships are just like you, like your neighbors, like your co-workers…people who have made the decision that making a gift to Daytona State College will be an investment in the strength of our community. One of the easiest ways to give is through a “planned gift”. It’s as easy as including the DSC Foundation in your will or trust, as a beneficiary on your retirement account or on an insurance policy. Many of our scholarships were set up in this way. 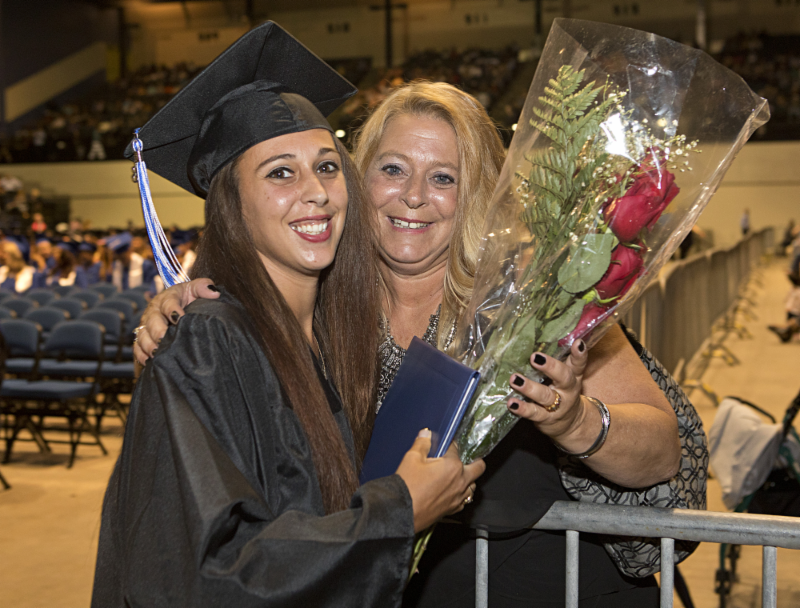 Leaving just a part of your estate to Daytona State College Foundation is truly rewarding and will mean that students will have the opportunity to attend college and pursue their dreams. 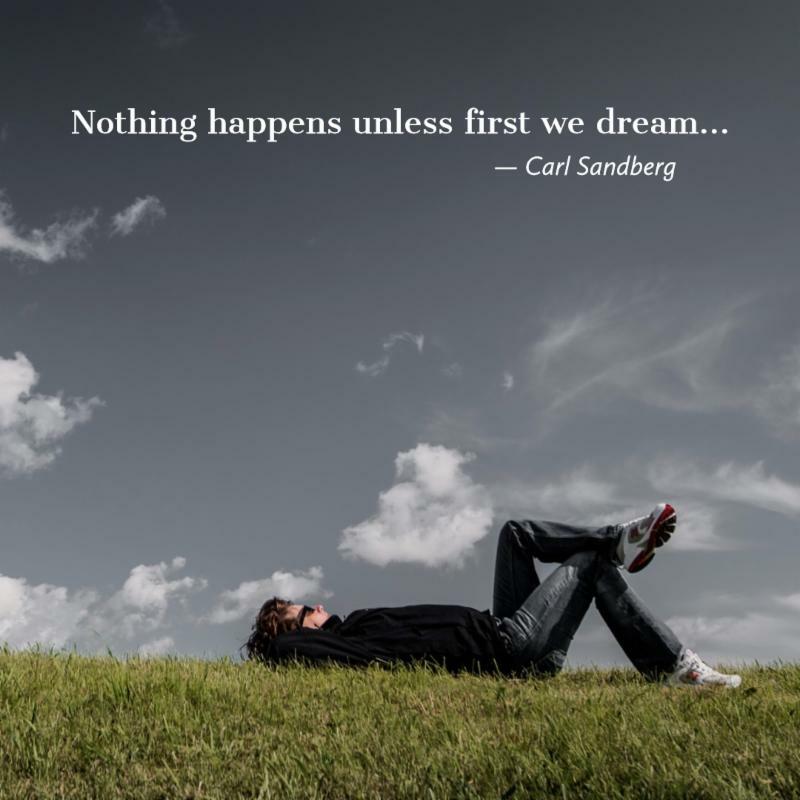 If you are interested in finding out more about making dreams come true, call or write to Sue Durgy, Director of Development, (386) 506-3110 Susan.Durgy@DaytonaState.edu. 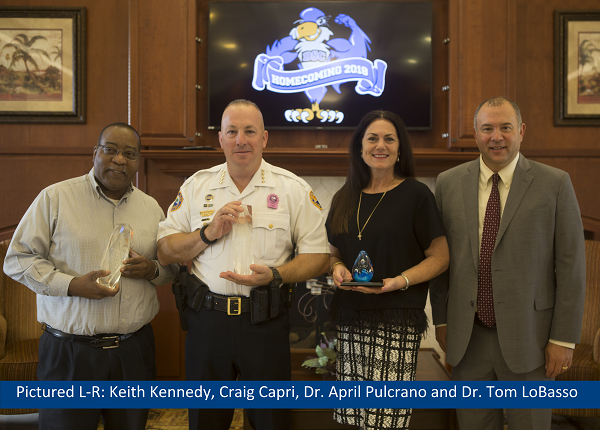 Each year, Daytona State College recognizes the professional accomplishments and community achievements of four graduates during the Alumni & Friends Association's annual awards breakfast held during Homecoming. Deadline to submit nominations for this year's awards: Aug, 16, 2019 . Submit via the online form by Monday, May 13. April 18, 4 p.m. - Book Club - presented by the DSC Library and Alumni & Friends Association. 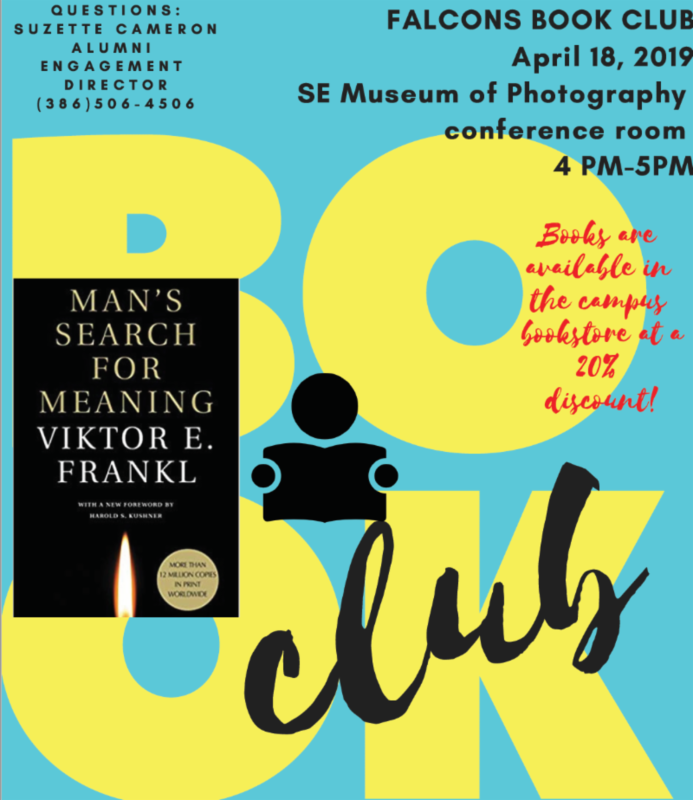 This month's book selection is by Viktor E. Frankl - "Man's Search for Meaning," which chronices his experiences as a prisoner in Nazi concentration camps during World War II . 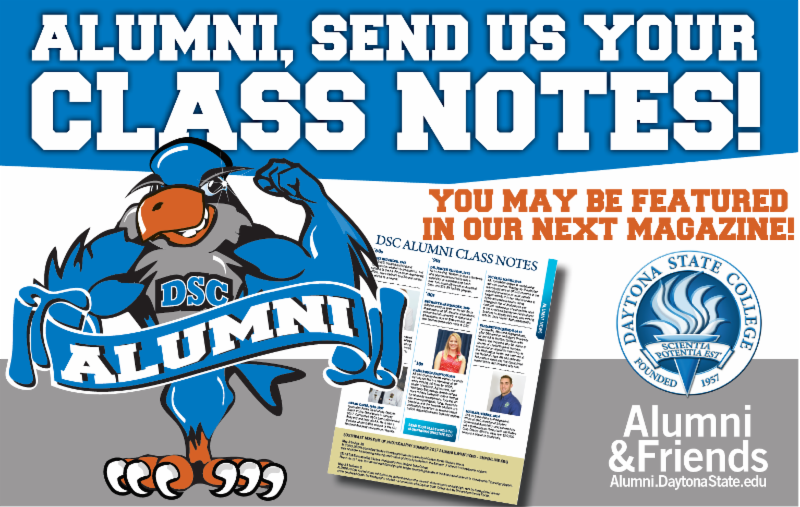 Open to #DSCAlumni as well as students, faculty and staff. Books are available for purchase from the DSC Book Store, 20% discount. The Book Club meets in the Hossini Center, Southeast Museum of Photography, Conference Room. ﻿For more information, call (386) 506-4506. 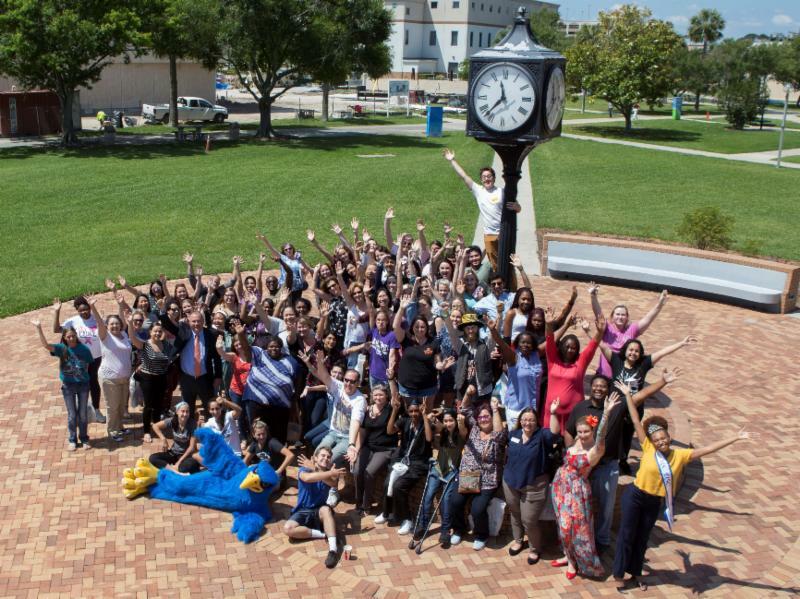 Daytona State Falcon athletics carry a winning tradition in both competition and academics. Our teams consistently earn state and national recognition for their academic achievement. Come out and cheer on Men's Baseball and Women's Fast-Pitch Softball during upcoming home games. The DSC Falcon MasterCard has landed! This bright blue card brings in scholarship dollars with every purchase made - that means a painless and ongoing gift to DSC students. 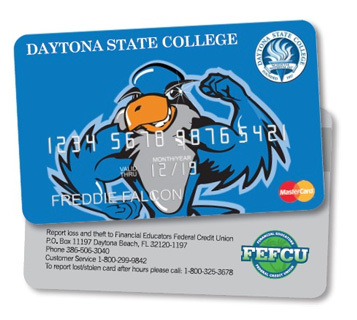 Click here to apply for your Falcon MasterCard or call (386) 506-3665. Up to $1M is provided in scholarships to students, through the DSC Foundation, on an annual basis. We appreciate your support and consideration of keeping our community an educated community.